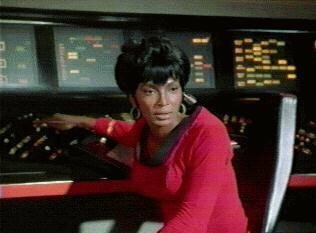 Nyota Uhura joined the Enterprise after the 2nd pilot "Where No Man Has Gone Before". She's been featured on the Enterprise & Enterprise A since then. Below are the episodes in which she appeared, and my comments upon her role in those episodes. 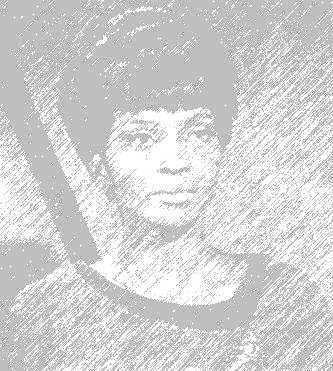 - member of the landing party stranded on the planet after McCoy changed time; she also states some of the sweetest words the landing party will here, "the Enterprise is up there, they want to know if we want to beam up"
- this episode is as close to the network's unfulfilled promise of a second season 'Uhura episode', as there was; each member of the landing party has crucial roles in the attempt to get back to 'their Enterprise'; Uhura covertly gets information to the Captain; marvelously handles a jaded and heartless Sulu to get what she wants and needs to get them home; rushes into the fray in Sick Bay trying to subdue the 'other' Spock; she conquers her internal fears of the 'mirror universe' and does what she must do to help complete the mission, including physically disarming Lt. Marlena Moreau. - Uhura is quite strong with a sarastic Dr. McCoy; when McCoy states he doesn't make housecalls (referring to the Romulans), she assertively breaks through his sarcasm with ".. it's Captain Kirk!". "Is There in Truth No Beauty"
- Uhura, along with Chapel are beamed to Platonius against their will. She is forced to appear in a 'live-play', mind-directed by Parmen. Her role in this appears to be as Captain Kirk's 'lover'. Their kiss was the first interracial kiss on network television.